Halloween in Whistler 2018 - Whistler Real Estate Ltd. 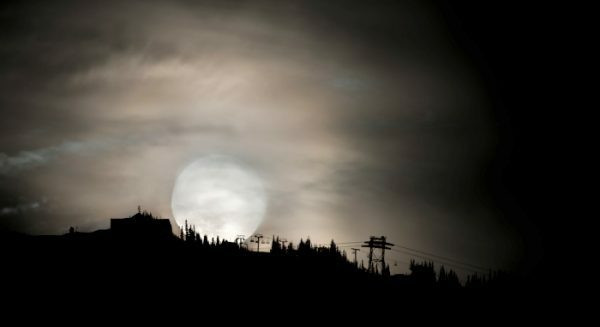 Calling all ghouls and ghosts, it’s that time of year again to come out and celebrate Halloween in Whistler. Halloween in Whistler 2018 isn’t just about dressing up on October 31 it’s about celebrating the spooky season all month long with family and friends. While Halloween will be falling on a Wednesday this year, the people of Whistler will be celebrating in the weeks leading up to the 31 and on the previous weekend of October 27 to 30. Whistler and the surrounding area have numerous festive and spooky attractions to choose from. Here are some of the events not to miss this Halloween. All Halloween celebrations must start with finding the perfect pumpkin! Take a short trip out to North Arm Farm and hop on a wagon ride around the farm in search of the most frightening pumpkin! Listed as one of the most haunted spots in BC, the Parkhurst Ghost Town Hike is a frightfully fun activity to do at this time of year. 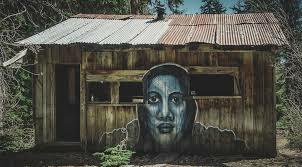 The area was once a small logging town established in 1926 and abandoned in 1966. Over 50 years later, parts of the small town still remain as it was left. While harsh winter weather has destroyed many of the houses, there are still eerie traces of the forgotten town, such as decaying or collapsed houses and abandoned vehicles. The best part of this ghost town activity is the journey. You can reach Parkhurst Ghost Town by foot, by bike or by kayaking across Green Lake. Join Arts Whistler for their Krafty Kids series this October when they will be creating their own Halloween masks and encouraging your kids to get creative with glue, paste and decorations to make their very own Halloween costumes. Trick-or-treaters get ready for a howling good time at the annual Halloween celebration in Whistler’s Tapley’s Farm neighbourhood.Up to 1,000 children each Halloween have safely enjoyed the magical atmosphere for the past 33 years. Enjoy the elaborate decorations and experience the community atmosphere of Tapleys Farm. Check out the Facebook event! One of the most notorious cult-movie experiences you can possibly have in a darkened theatre returns to Whistler this Halloween. See The Rocky Horror Picture Show as it was meant to be seen – on the big screen, in the dark and with an raucous audience all dressed up as their favourite characters. Tickets are $15 in advance or $20 at the door. Following a two year hiatus, the infamous independent film festival will be resurrected in Whistler on Tuesday October 30th. The Heavy Hitting HorrorFest began in Whistler in 2002 with a group of local filmmakers and their friends. It has grown to be the largest horror film festival in Western Canada, attracting submissions from around the world and 1100 rabid horror fans each year. A Spooktacular event not to be missed, the Quentin Tarrantino themed Murder Mystery & Beer Pairing at Brickworks promises to be a fun night of murder, mystery and beer. Enjoy a five-course meal with beer pairings as you and your fellow Tarrantino fanatics attempt to solve a murder case. Whistler is notorious for its great nightlife so any bar in the Village is a guaranteed good time. Grab your Halloween costume and get down to any of the local bars for a fun night. If you want to be sure you’re not the only one dressed up we suggest joining the Whistler Halloween Club Crawls. This will allow you to skip the busy lines and the cover and go to five different venues in one night!